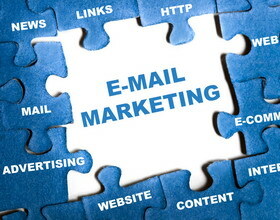 Email marketing is an exciting area that is on the verge of many interesting changes. While it may seem that the popularity of social media networks has overtaken email marketing as the main way to reach existing and potential customers, the reality is that email marketing can deliver in many more ways that status updates ever could. But there is always room for improvement in a marketing strategy and this is especially true as our world changes so much and so quickly, year on year. What may have seemed like a game changing strategy in 2013 is now old and boring, so businesses constantly have to go back to the drawing board to come up with new and better ways to target customers and increase brand loyalty. Strategies need to be dynamic and ready to change at a moment’s notice if they are to truly work for a business. Luckily, there are a number of new and exciting technological changes that will revolutionize how email marketing works – for the better. Here we explain just some of them, and how they will impact on the world of email marketing. Mobile keeps on growing. The move to mobile devices continues to grow and grow with apparently unstoppable energy. This could soon make mobile devices the main cornerstone for all our data requirements. The move to creating more content that is designed to be mobile friendly will change how email marketing strategies are designed and will give greater reach to email marketing campaigns. Less spam is good news. Those annoying spam emails affect us all – but thankfully they have been on the decline over the last number of years. This is because software developers are tackling the issue of email spam before it even reaches the recipient and cleaning up emails before they find the inbox. By reducing the amount of spam people receive in their inbox, the emails that do get in will be of a higher quality. This will make customers feel that they emails a business sends are high quality too and they will feel a greater level of trust towards the company, which will in time translate into increased business. Wearable technology. The growth in popularity of devices such as Google Glass and smart watches means that people are soon going to be connected to the internet 24/7. Soon checking your email will be as simple as glancing at the time. This will allow email marketers to reach their customers and build their brand in real time. If, in the future, these devices used an element of voice control – for example, ‘device, please subscribe me to that mailing list’ – then customers could interact with a company without even having to press a single button.